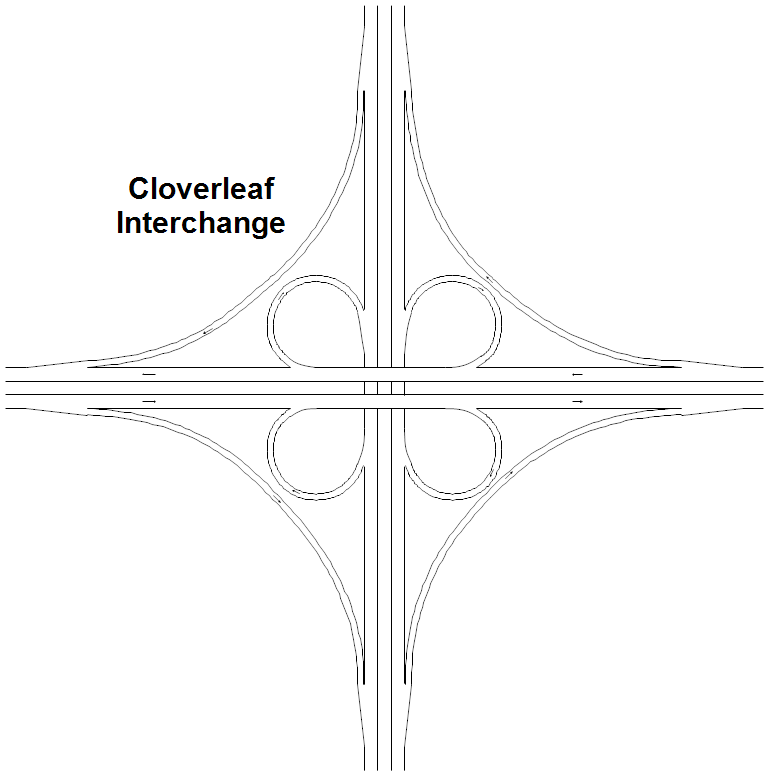 Description This drawing shows the standard cloverleaf interchange. Although advertised in the 1950's as the ultimate intersection, it has lead to traffic problems and is being redesigned. The circles used to enter and exit the highways slow the traffic and this slow traffic has to mix with the high speed traffic of the highways. The entering vehicles have to cross vehicles wanting to exit and that leads to problems. It would work fine if speed limits were drastically reduced, as is done on circles. Once RFFlow is installed, you can open the above drawing in RFFlow by clicking on Cloverleaf.flo. From there you can zoom in, change the text, change colors, print and fully customize this sample drawing. It is often easier to modify an existing drawing than to draw it from scratch. To edit the text, you can either double-click or right-click and choose Edit Text from the menu that appears.